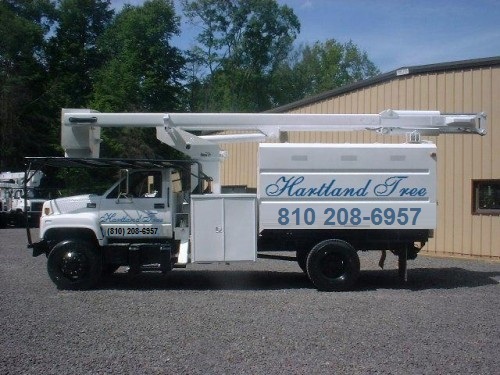 Hartland Tree Service is a professional tree service providing Arboricultural Services for Livingston County, Genesee County and Oakland County Michigan. We are a third generation family of arborists with over 30 years experience in professional tree care, expert tree pruning and Arboricultural preservation. Certified Arborists will perform your work. Tree Removal Service , Stump Grinding , Tree Trimming Service , Arborist Services , Crown Pruning , Cable Systems, disease diagnosis, preservation and fertilization .